As part of our 60th anniversary celebrations, together with the Ecclesiastical Architects and Surveyors Association and the 20th Century Society, the National Churches Trust organised a competition to nominate the UK’s best church architecture. The winners of the architecture competition were announced at an awards ceremony held at Lambeth Palace on 7 November 2013. 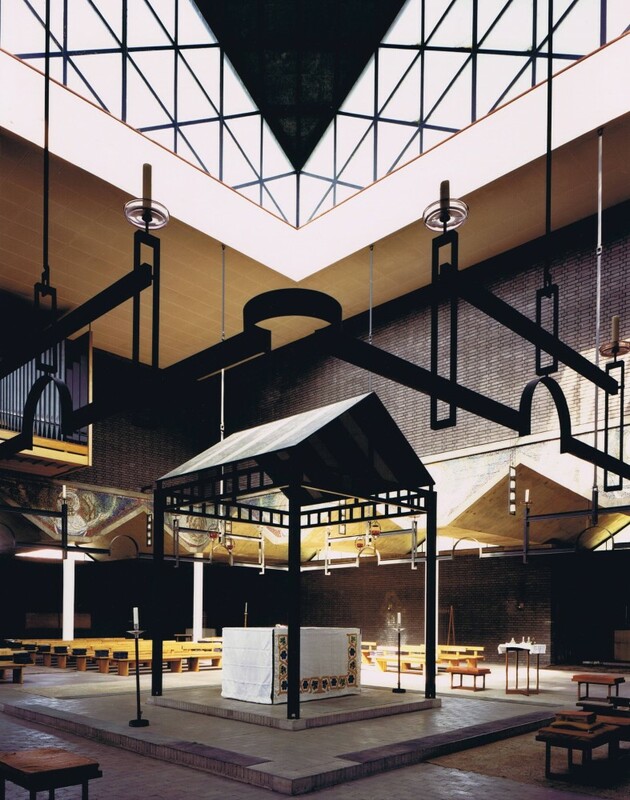 St Paul’s Church in Bow Common, east London, known locally as ‘The Gate of Heaven’ was chosen as ‘The UK’s Best Modern Church’. 24 churches have been shortlisted for the Best Modern Churches architecture competition being run by the National Churches Trust, The Ecclesiastical Architects and Surveyors Association and the 20th Century Society. A special website give details of all the shortlisted churches www.bestmodernchurches.org.uk and the churches and chapels are listed at the bottom of this page. From the shortlist of 24, judges will announce a Top 10 Best Modern Churches and award a ‘National Churches Trust Diamond Jubilee Architecture’ prize to the three places of worship judged to be the best sacred spaces built in the last 60 years at a ceremony to be held at Lambeth Palace on 7 November 2013. 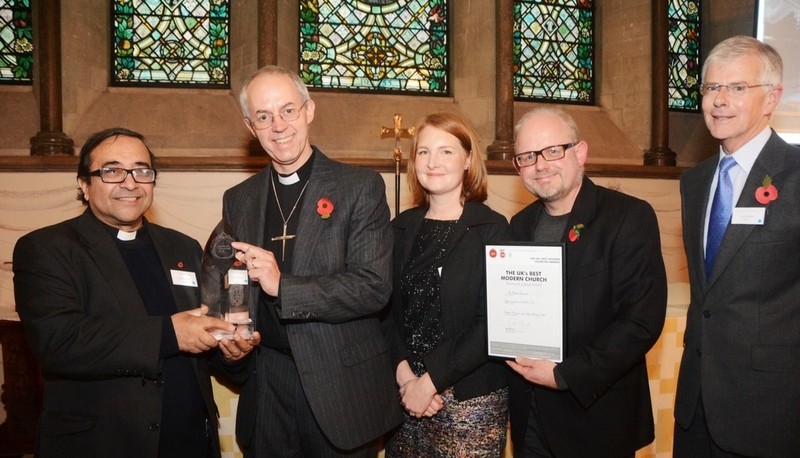 The awards will be presented by the Archbishop of Canterbury, Justin Welby. 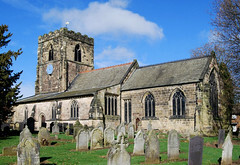 Over 200 churches were nominated for the competition by members of the public, churches and heritage organisations, Church buildings or significant extensions to an existing building of any Christian denomination in the United Kingdom which opened for worship after 1st January 1953 are eligible for the competition. The Best Modern Churches competition is being held to mark the 60th anniversary of the National Churches Trust. Since 1953 the Trust has provided over 12,000 grants and loans worth £85 million to help fund the repair and modernisation of Christian places of worship. Judges for the awards are: Sherry Bates, President Ecclesiastical Architects and Surveyors Association, Richard Carr-Archer, Trustee of the National Churches Trust, Catherine Croft, Director of the 20th Century Society, Jonathan Glancey, writer and architecture critic. Churches and chapels nominated can be found below. together with the name of the architect year of construction. 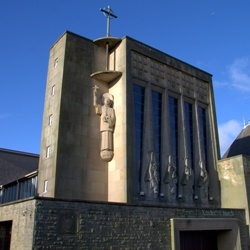 The search is on to find the Top 10 churches built in the United Kingdom since 1953 in a new architecture competition launched by the National Churches Trust, the Ecclesiastical Architects and Surveyors Association and the Twentieth Century Society. 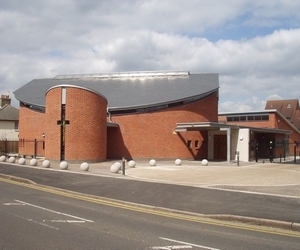 Any new church building or significant extension to an existing building from any Christian denomination in the United Kingdom which opened for worship after 1st January 1953 and which is still open for worship today can be nominated for the competition. Judges will be looking for creative architecture which imaginatively expresses Christian religious belief and practice of the past 60 years. From the Top 10, a special ‘National Churches Trust Diamond Jubilee Architecture’ award will be presented to the three places of worship judged to be the best sacred spaces built in the last 60 years at a ceremony to be held at Lambeth Palace in November 2013. 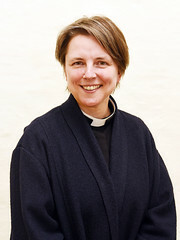 Nominations for churches, chapels or meeting houses to be considered for inclusion in the Top 10 can be made online at http://bit.ly/111YYrc or by emailing the name and address of the church, chapel or meeting house to bestchurches@nationalchurchestrust.org before 31 July 2013. 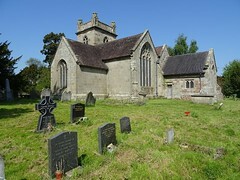 The Top 10 best churches competition is being held to mark the 60th anniversary of the National Churches Trust. Since 1953 the Trust has provided over 12,000 grants and loans worth £85 million to help fund the repair and modernisation of Christian places of worship.